Every week we roll our trash to the curb for pickup and disposal. Rarely do we give a second thought to where it goes and how it’s processed. However, this “out of sight, out of mind” attitude does not reflect the importance of waste management in America. How to manage trash is a major issue at a national and global level. The issue becomes more critical with the increasing amount of waste Americans are contributing to landfills every year. The growing concern over waste production highlights just how important recycling and green hauling is to our environment. According the EPA, American trash output increased from just over 88 million tons in 1960 to over a quarter billion tons annually today. However, higher rates of recycling and composting today offset some of that increase. The “net” volume of waste discarded to landfills peaked in 1990 at just over 145 million tons annually. As of 2013 that figure remained around 134 million tons. The average American generates roughly 4.4 pounds of trash every day. 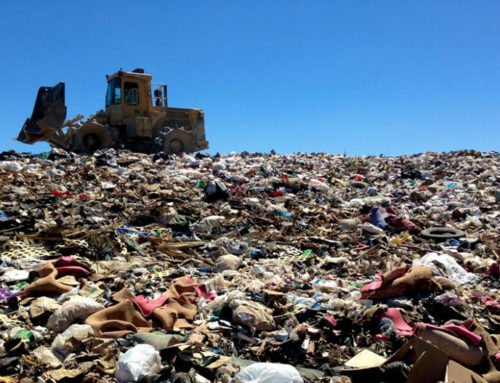 To deal with an increasing volume of trash, municipalities build an increasing number of landfills. Additionally, they dump more trash into existing landfills far beyond the suggested capacity. Consequently, some regions with capacity issues now transport their waste to neighboring states. The Big Run landfill in Kentucky was originally designed to hold a modest 7,000 tons. Today, it receives 3,500 tons every day from across the Eastern seaboard! Ohio faces a similar issue, with about a third of their 3.4 million tons of out-of-state trash coming from New York. Another hazardous byproduct of landfills involves the end result of bacterial decomposition of organic material. Landfills provide the perfect environment for the creation of methane. Methane, a greenhouse gas, is 84 times more dangerous than carbon dioxide. High concentrations of methane gas in the Northeast US represent a growing problem. For example, Pennsylvania, Michigan and Illinois produce 170 to 205 cubic feet of methane gas daily. The country’s worst offenders are California and Texas, producing a mind-blowing 419.6 and 331.8 cubic feet of methane per day. Given the numerous issues with landfills, responsible waste management is mandatory. Here at Fast Haul, we work especially hard to donate or recycle as much of the junk we pick up as possible. 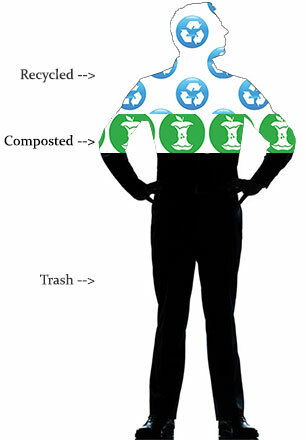 We aim to send the absolute least amount of waste goes to local landfills.